Paris-Pommard, 320 kilometers. Only three hours from Paris, Burgundy is the ideal place for a romantic weekend. 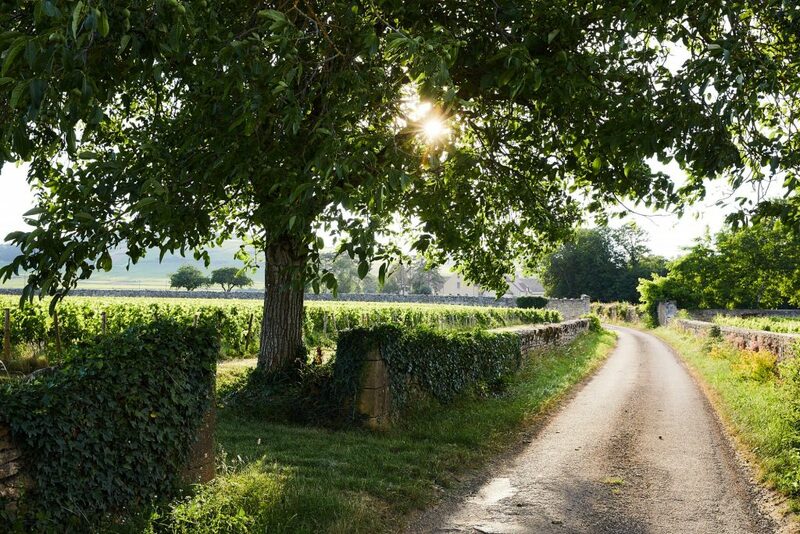 From the enchanting smells of the Beaune market to the shimmering colors of the vineyard, via the richness of the gastronomy and the wines of the region, all your senses will be awakened. For 48 hours, escape in the footsteps of Nicolas and Émilie to discover the art of living in Burgundy. Next stop, Nuits-Saint-Georges. If the Champs-Elysees of Burgundy are known throughout the world for their wines, they also shelter another exceptional product: truffle. At Château d’Entre-Deux-Monts, Yann and Thierry offer an unexpected experience. Accompanied by their truffle dog, they take you to the discovery of black gold before sharing a 100% truffle lunch. The hunting demonstration leaves a unique memory. Truffle hunt at Château d’Entre-Deux-Monts, from tuesday to saturday, 11am. From 51€ per person. Booking highly advised. Impossible to come to Burgundy without stopping at Château de Pommard. More than just a tasting, our wine advisors offer you Tasting Experiences to help you discover all the facets of our vintages. From the history of our vineyard, the Clos Marey-Monge, to the best food and wine pairings, our wines will hold no more secrets for you. 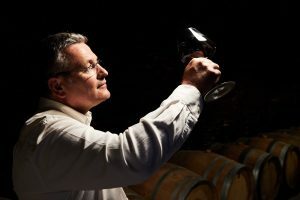 Book an Tasting Experience: chateaudepommard.com. Starting from 20€ per person. It is hard to resist the charm of Giada. With her singing accent coming from the other side of the Alps, she dusted the traditional recipes in the Pôpiettes stove. Fresh and colorful, its market cuisine touches the heart. The snails take a facelift, as the beef bourguignon. The octopus, cooked to perfection, melts in the mouth. The menu changes with the seasons, giving pride of place to local products. In the dining room, the smile of the waiters adds to the charm of the place. A favorite! Les Pôpiettes, 10 rue d’Alsace, Beaune. Open Thursday to Monday. Book a table : +33 3 80 21 91 81 or les-popiettes.com. Nestled just steps from the Hospices de Beaune, Le Cep offers 65 rooms, including 29 suites, in several private mansions gathered around a French garden and two 16th century courtyards classified as historical monuments. The hotel holds a 350m2 spa that combines fitness, relaxation, and well-being. A five-stars haven of peace in the heart of the city. Hôtel Le Cep, 27 rue Maufoux, Beaune. 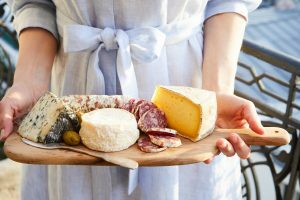 For Kendall and Marjorie, there are three main principles to French cuisine: seasonal products, affordable recipes, and a strong intuition. 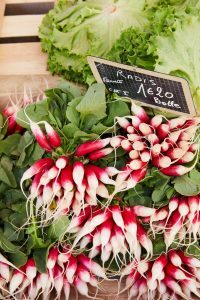 For the last ten years, the mother-daughter duo of french loving American has been guiding their students through the market stalls of Beaune. There, they select the ingredients of the dishes that they then teach them to cook in their Cook’s Atelier kitchen. An original way to discover the basics of Burgundy gastronomy before enjoying your meals. 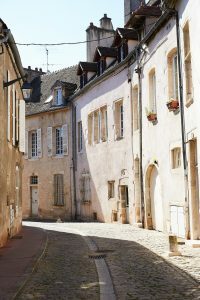 A Day in Burgundy, market tour and cooking class, saturday from 10am to 4pm. Booking requested. 295€ per person. By far, hot air balloons that come alive in the sky of Pommard look magical. Up close, it’s breathtaking. Once installed in the basket, the aircraft takes you into the air under the effect of heat. At golden hour, the flight offers an unforgettable view of Burgundy seen from the sky. For an hour, an experienced pilot takes you on a journey over vineyards, castles, and villages. There is nothing like an improvised picnic on arrival to recover from your emotions. You only need a few specialties bought at the Beaune market and a bottle of Château de Pommard! Hot air balloon flight, from 250€ per person. More info and bookings online. Away from the hustle and bustle, the Hostellerie de Levernois is a haven of peace. In the heart of a 5-hectare park located a few kilometers from Beaune, this 5-star Relais & Châteaux has the look of a charming house. Installed comfortably in one of its 26 rooms and suites, let the sounds of nature lull yourself. Peaceful! Hostellerie de Levernois, rue du golf, Levernois. lights its essential stages. Far from the beaten track, discover the most beautiful terroirs by bike. A bucolic getaway, over the vineyards. Bike rental, from 20€ a day. Electric bikes available from 40€ a day. Bookings online. It is time to conclude this burgundian fantasy. Yet, you still have lots to discover! It will be our pleasure to guide you again. In the meantime, we’d love to hear your love story with Burgundy. Share it with us and enter our contest to win 3 bottles of Clos Marey-Monge Monopole 2016. How to get to Burgundy? SNCF offers a regular service between Paris and Beaune via Dijon. It takes between 2:10 and 3:30 depending on the trains. A TER runs several times a day between Lyon and Beaune. The Dijon train station also offers regular trips to and from Switzerland. 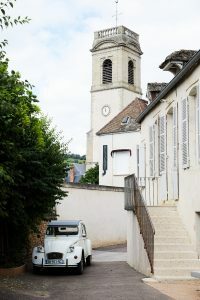 By car, take the Beaune Centre exit on the A6, then the direction Centre Historique. Several car parks are available at the entrance of the city.